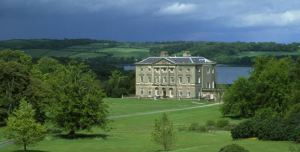 Here are some fun National Trust events going on that don’t include green beer or bagels! Inspired by St Patrick’s day, why not celebrate with difference by delving into your family’s history. This takes place at Birmingham Back to Backs, carefully restored, atmospheric 19th-century courtyard of working people’s houses; houses built literally back-to-back around a communal courtyard. With this beginners lecture, Maggie Loughran (Expert in Irish & British family history) will help get started in your research. Tickets here. Celebrate all things Irish at the Giant’s Causeway with fun for all the family. Those pesky leprechauns have woken Finn from his slumber with their festivities. Follow their trail to the stones and be rewarded with gold. There will also be face-painting, balloon modeling, crafts and traditional music. Tickets and details here. Join us on our annual walk through Saint Patrick’s country. Organised jointly by Down District Council and the Lecale Ramblers, the route includes a mixture of quiet country roads and green lanes. The event is free and a wee dram of whiskey (or tea/coffee) is provided at our refreshment point. Due to livestock this walk is not suitable for dogs. Details here. Leprechauns have escaped from their home in Downhill forest and hidden themselves around Hezlett House. Come along with the whole family to help us seek out the leprechauns at this fun event. Details here.